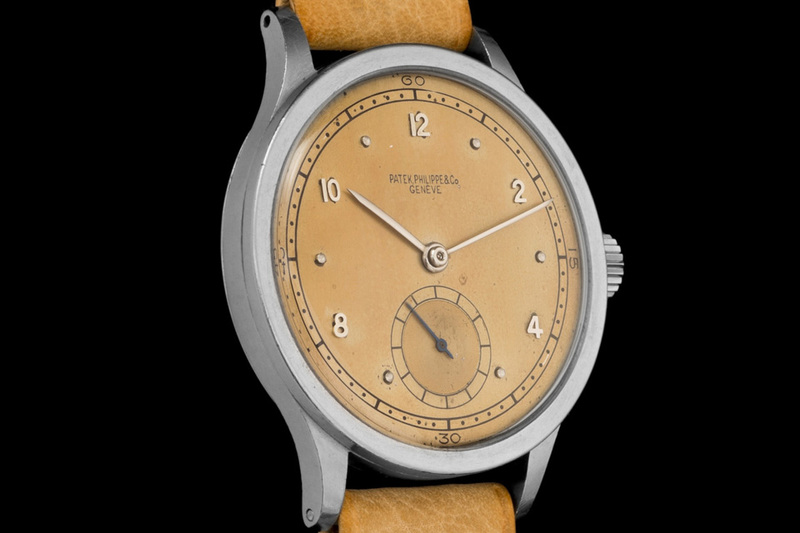 Today we found three very rare pieces from independent watchmakers for you. There’s a unique piece from Speake-Marin with a custom-made dial from the Japanese artist Yamazaki Mushu, an early piece from Stepan Sarpaneva named Loiste and a Habring² Jumping Seconds with an in-house developed jumping seconds mechanism. 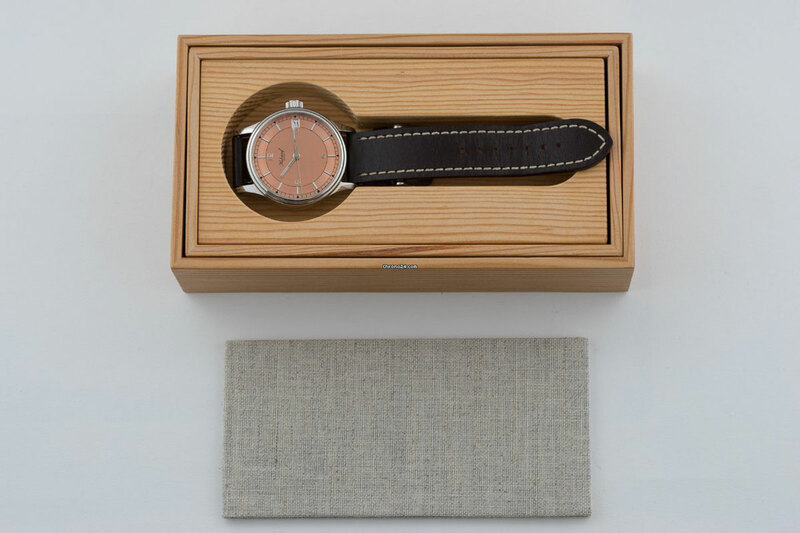 Watches made by independent watchmakers – indies – are rare by nature. 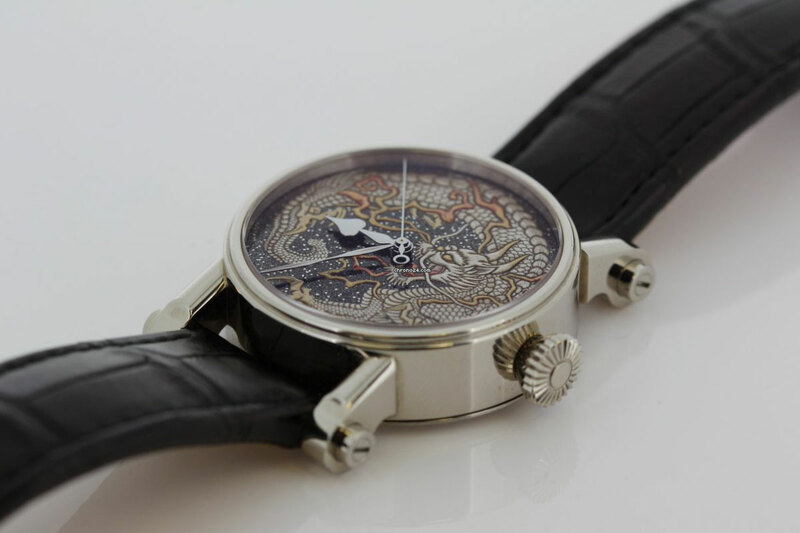 Most indie watchmakers do not produce, or probably we should say MANUfacture (“manu” refers to hand-made), so many pieces, and often in smaller numbers than a limited edition of one of the big watch companies. 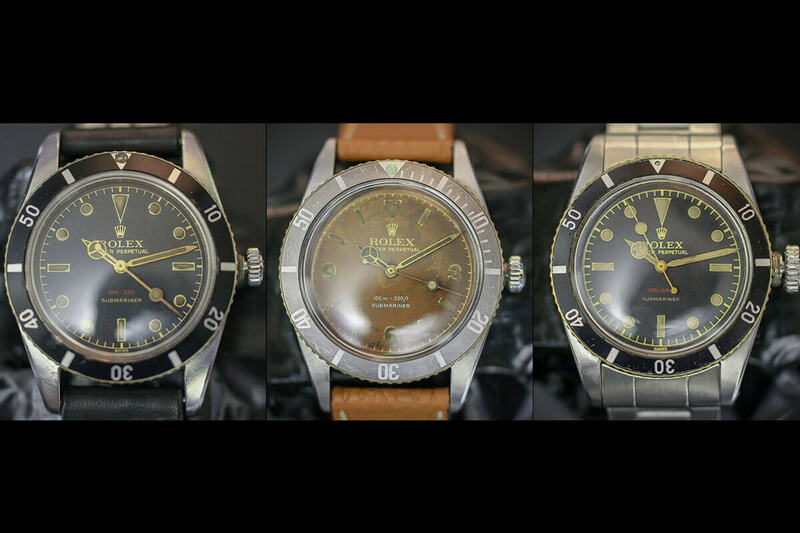 So when we say these three watches are ultra-rare, that is by no means an exaggeration. 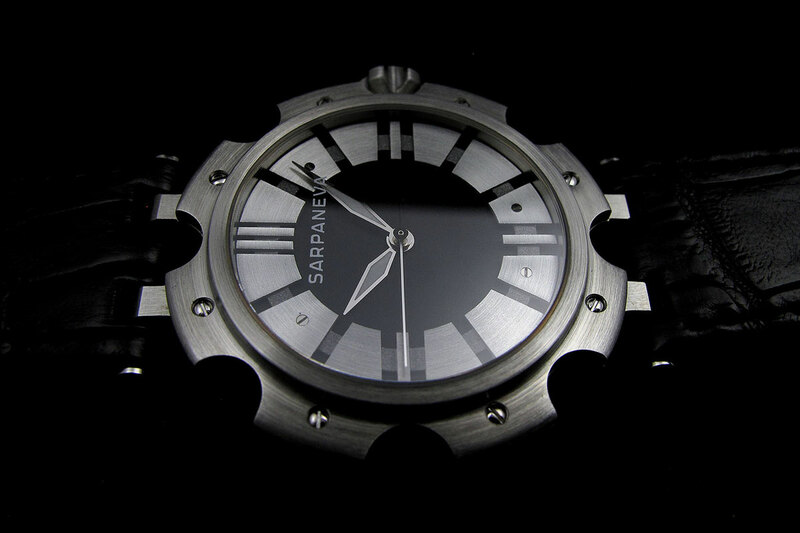 Stepan Sarpaneva is a Finnish watchmaker whom we covered many times here on Monochrome. Maybe that’s due to the fact that my first watch from an independent watchmaker was one of his watches. It was the very last example of the first generation Korona K1, which I picked up in Helsinki. 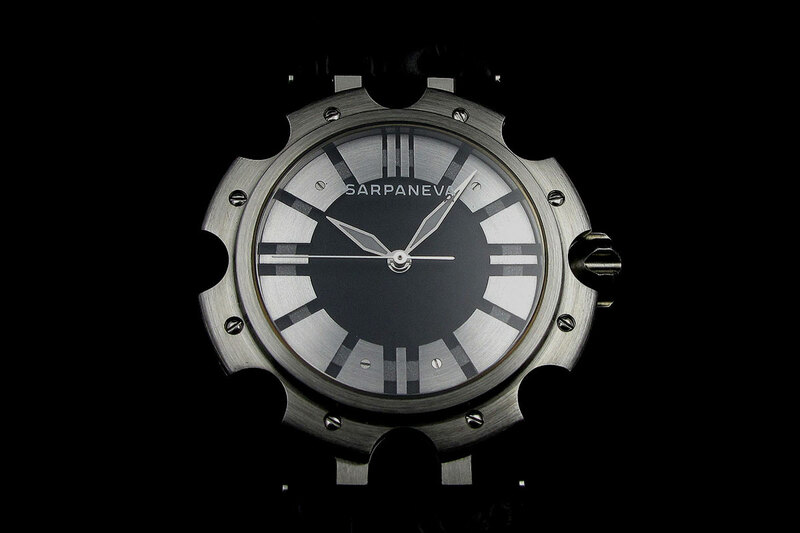 Today we found an earlier watch from Sarpaneva for you, which is the Loiste, one of Sarpaneva’s first models. 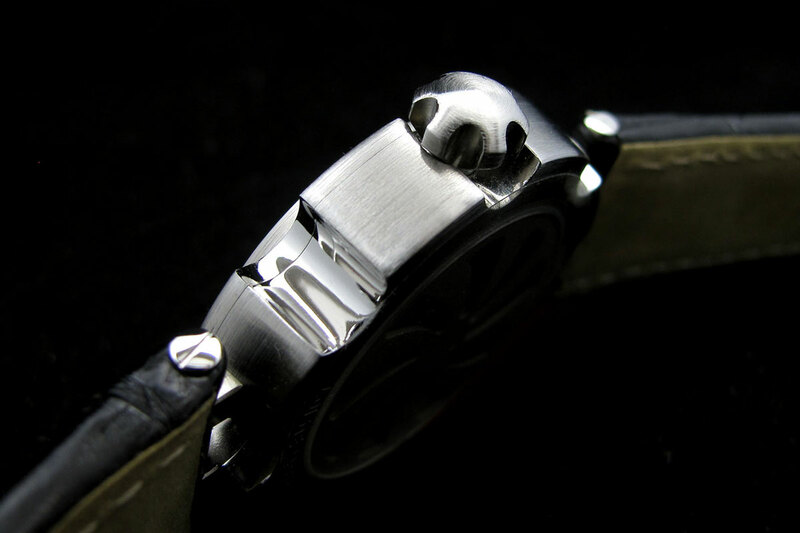 The rather distinct case shape is inspired on the kickstart pinion of Sarpaneva’s old Harley Davidson. 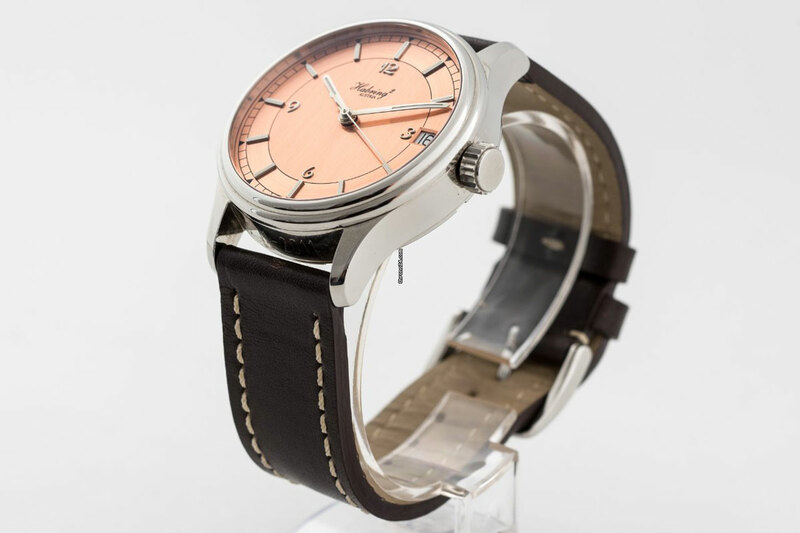 The stainless steel Loiste case is constructed of four parts and measures 37 mm in diameter. Inside ticks a reliable ETA 2824-A2 movement. The dial is machined from aluminium and the brand’s name is printed on the underside of the crystal, so it can’t wear off. 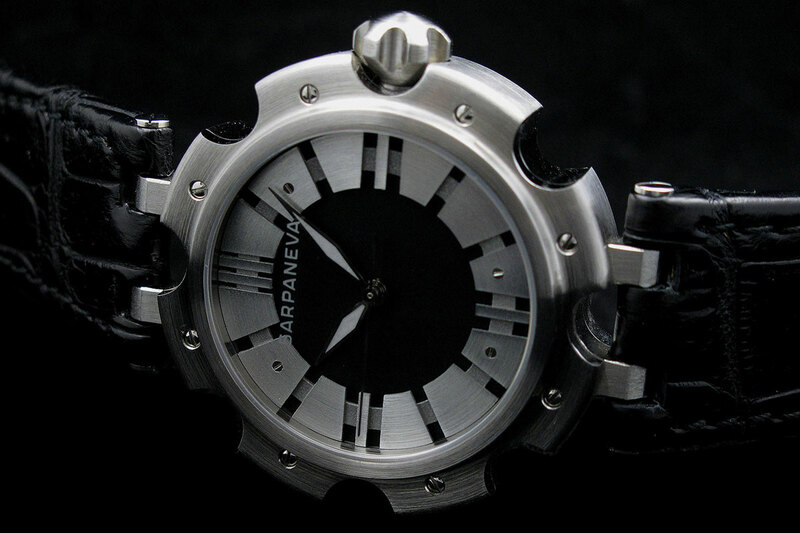 Design cues like the case shape come back in all his later timepieces. 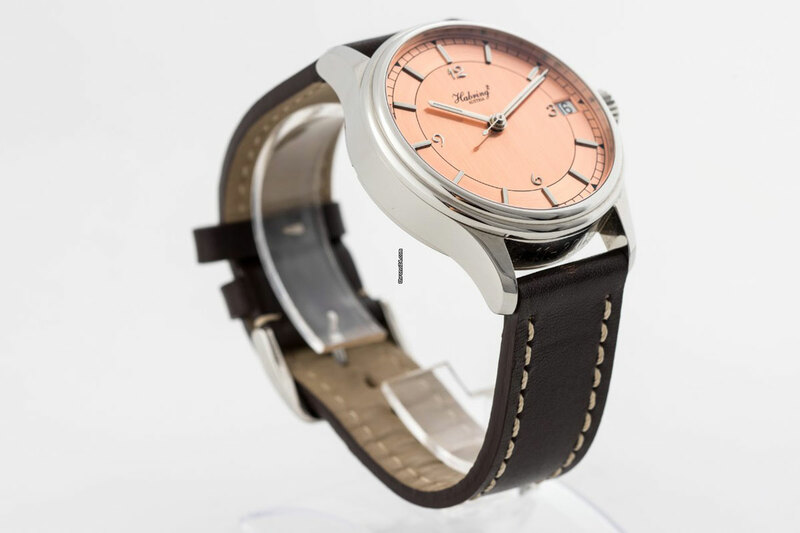 In the first generation Korona models (K1, K2 and K3) the bezel showed similar shapes on later generations these shapes appeared in the case design again. 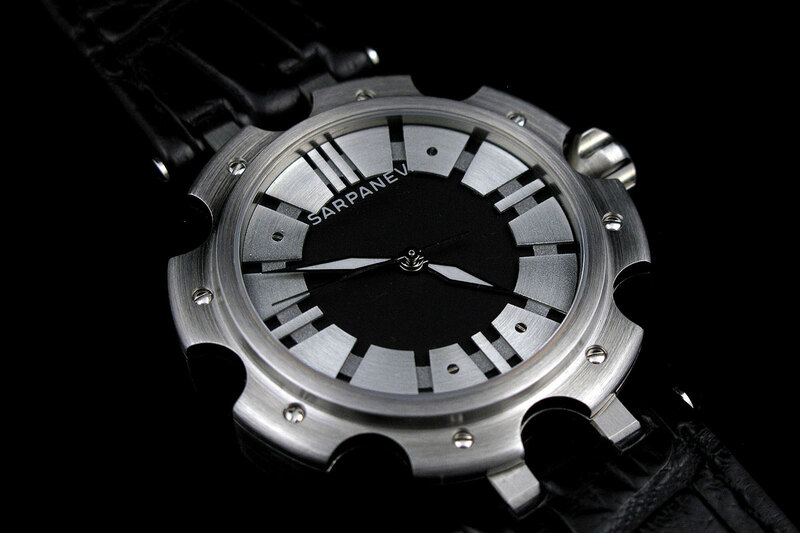 The Sarpaneva Loiste is priced at $ 7,500 USD and is posted for sale by the original owner, here at Timezone. 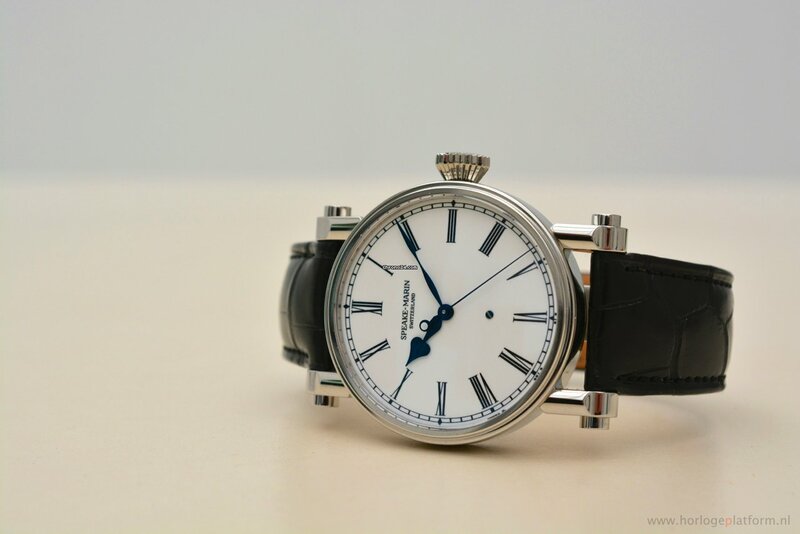 Next up is a unique Speake-Marin Piccadilly, in white gold, bearing the name “Hungry for Time”. 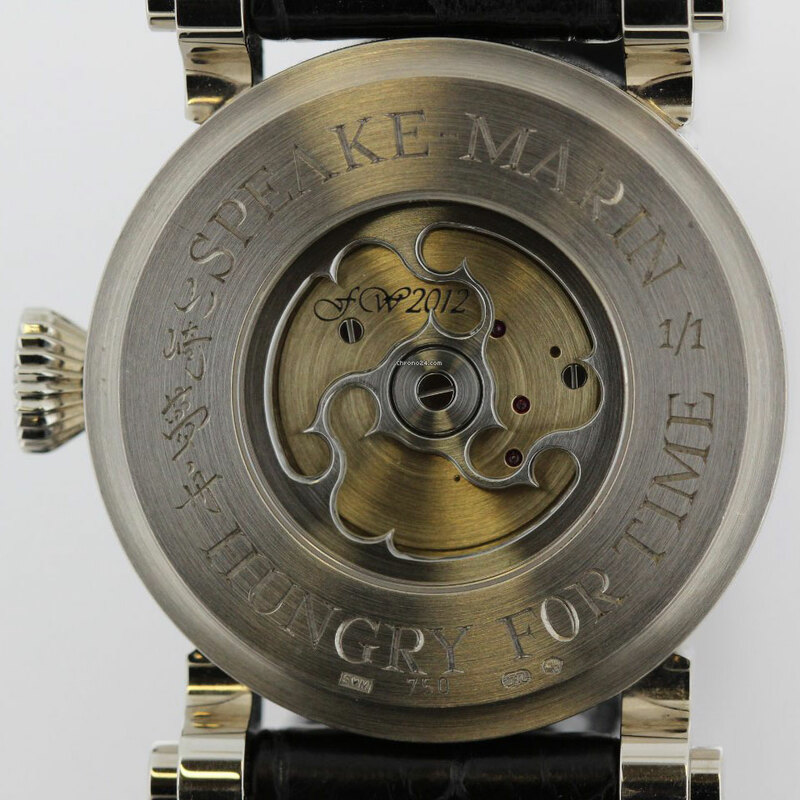 This watch is equipped with Speake-Marin’s calibre FW2012, which is actually a highly modified ETA 2824. 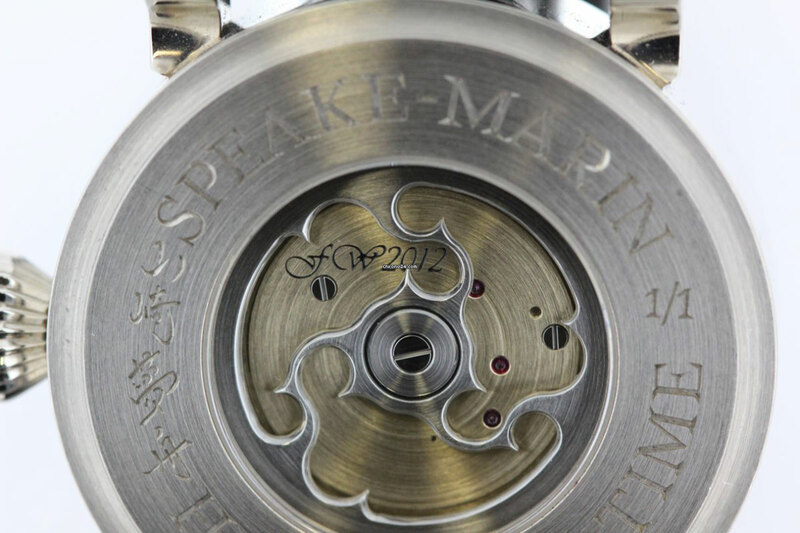 Now-a-days Speake-Marin uses another movement, which features a similar rotor design. The case, is the so-called Piccadilly case, and measures 38mm in diameter by 13,5mm in height, and features the very recognizable oversized lugs and large diamond-shaped crown. 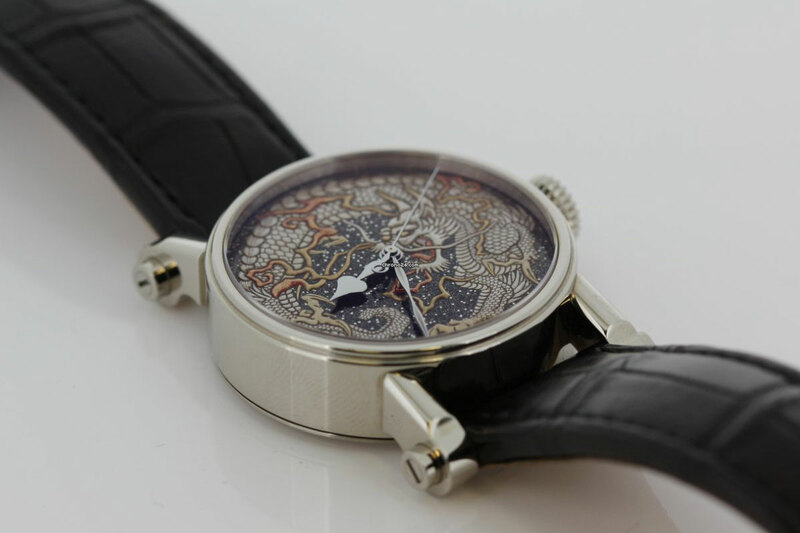 Throughout his career Speake-Marin has made quite some unique pieces, always in collaboration with various artists like master-engraver Kees Engelbarts or the world-renowned Japanese artist Yamazaki Mushu. 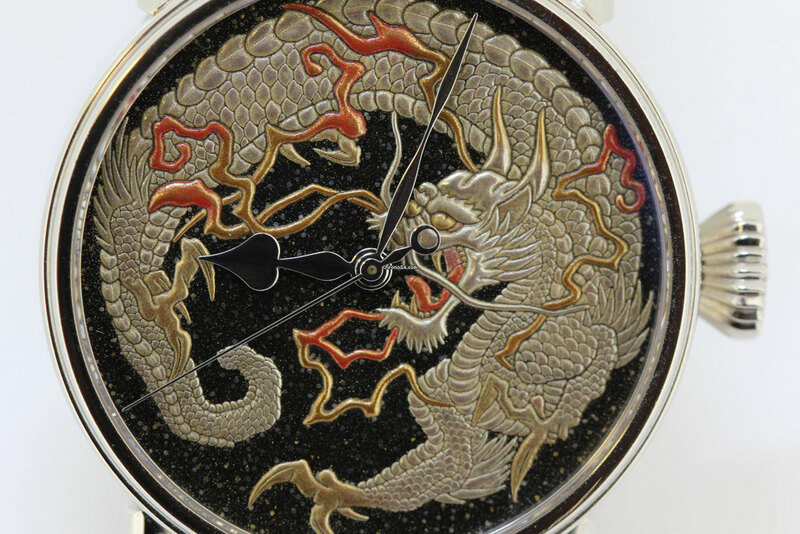 This particular watch is called “Hungry for Time” and features a Maki-e dial created by Yamazaki Mushu. 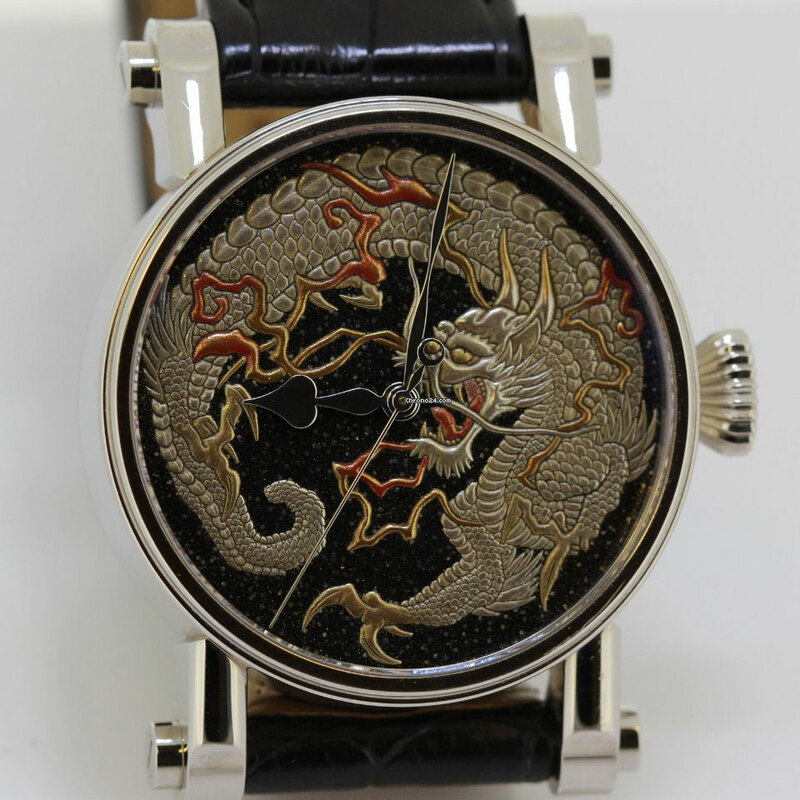 The design features a dragon circling the hands, and is about to eat the center of the dial with Speake-Marin’s foundation style hands. The Piccadilly “Hungry for Time” is offered for sale for $ 48.000 USD (= € 37.500 Euro) by Passion Fine Jewelry here at Chrono24. Old pocket watches, and especially marine chronometers, has been equipped by a so-called dead beat second hand, however it wasn’t until late 1950’s before there was a wrist watch with a centre dead beat second hand. The dead beat second hand has always been a sign of precision, because it allowed for a more precise reading of time, when even seconds count. In these days movement manufacture Chézard was the largest and most important producer of movements with dead beat (or jumping) seconds. 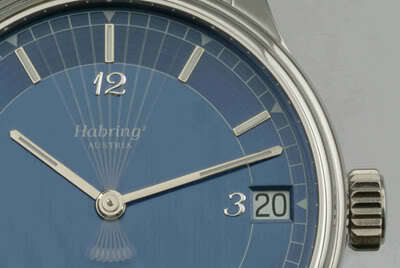 Starting in 2005 Habring² offered the Jumping Seconds, utilizing a Chézard calibre 116. That was a huge succes and when they ran out of these Chézard movements, Habring² developed their “own” automatic-movement A07. As of summer 2008 the automatic-movement A07 (based on the Valjoux 7750) with jumping second was available as a manual variation, and would be the substitute for the Chézard calibre 116, which was no longer available. 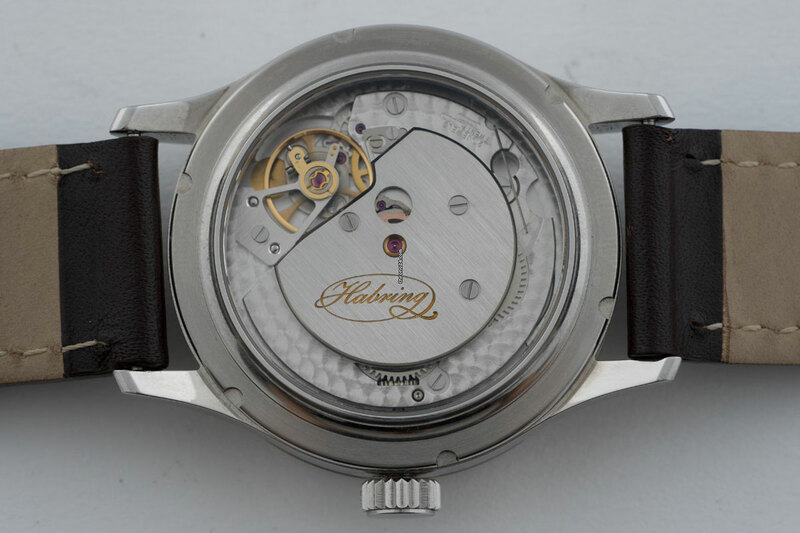 With these calibres (A07 and A07M) Habring² was the very first manufacturer worldwide restarting the production of a movement with jumping seconds. Recently Habring² introduced their self developed in-house movement A11. The version with dead beat / jumping seconds is echeduled to be introduced in 2015, so for the time being this is a real good option. And it features a drop-dead gorgeous salmon dial! 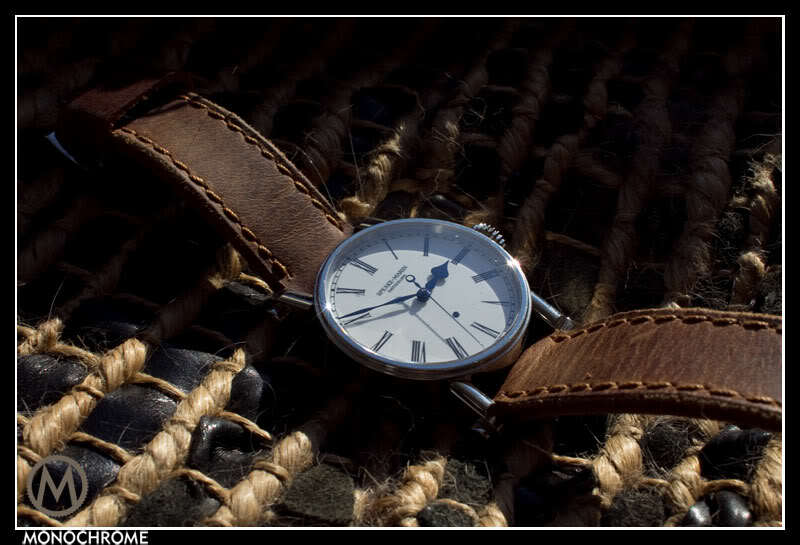 The stainless steel case measures 42mm in diameter and 9.5mm in height. It comes with box & papers, and is in New Old Stock condition. 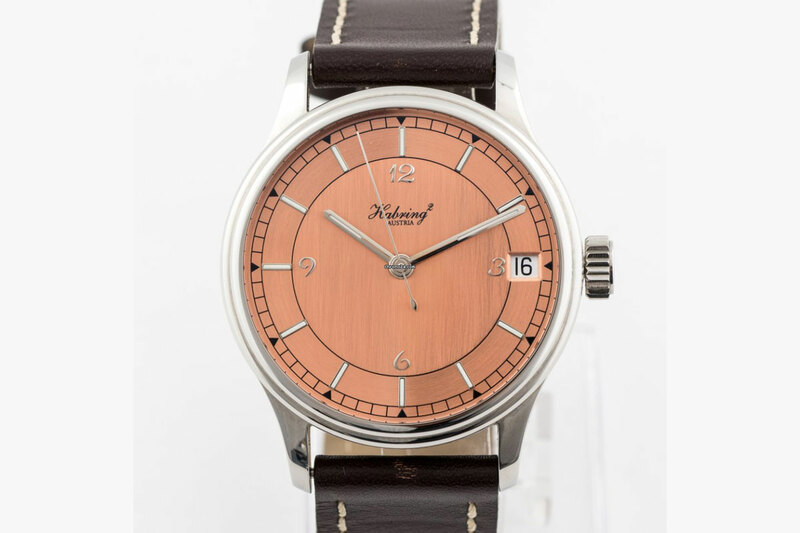 This Habring² Jumping Seconds is from 2011, and is offered for sale by Chrono24 Services, for just € 2.890 Euro.